and is acquiring the same fascination that characterises wine: the Tuscan IGP extra virgin olive oil made from the 1200 olive trees of the Casanova di Pescille farm. The Mediterranean peoples places great importance on the oil trade, so much so that they built ships suitable for its transportation, known as "onerarie" and later "marciliane", which were flat-bottomed and could hold up to 500 barrels. The Romans even had a kind of Stock Exchange, where they dealt in lots of oils, which was called the "arca olearia". Today, the Tuscan landscape which is so greatly loved and widely used for adverts and films, is the way it is thanks to the olive groves and vineyards planted by the Medici family of Florence. 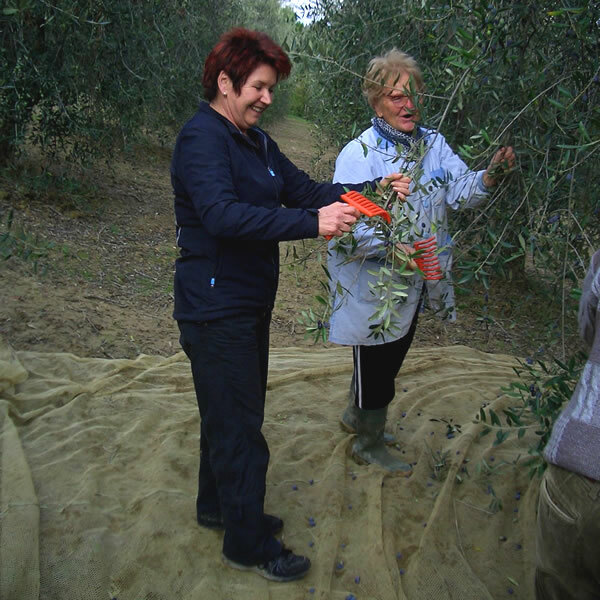 Since 1998, extra virgin olive oil made in Tuscany has been able to bear the I.G.P. mark. The initials stand for "Identità Geografica Protetta", which means Protected Geographical Area, and the mark has been recently introduced by European Community regulations to prove that the oil bearing this mark is made in Tuscany, from Tuscan olives and is pressed in Tuscan olive mills. 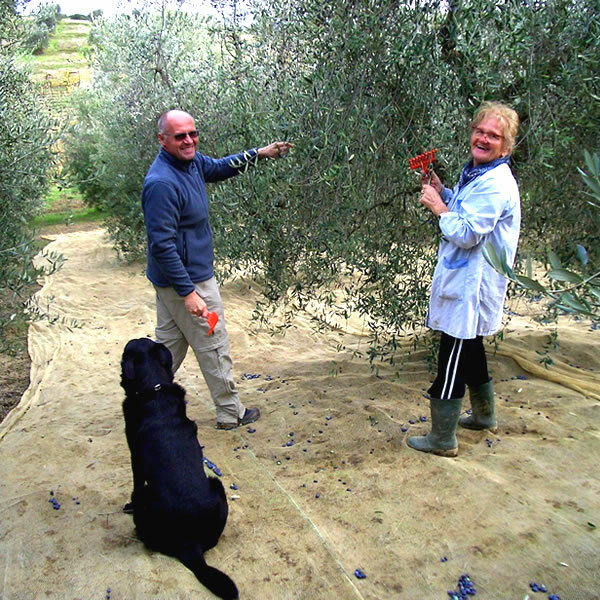 It took an American to tell the Italians that extra virgin olive oil was good for them. In the 1970's, Dr Ancel Keys reassessed this food, recognising its efficacy in preventing heart disease and arteriosclerosis. It is the only oil to be made by simply pressing a fruit, without any physical or chemical manipulation: it is easy to digest, is able to lower unhealthy cholesterol, reduce gastric acidity, diminish the risk of gall stones and encourage the growth of young bones, as well as being a wonderful source of vitamins: A - D - E . Extra virgin olive oil also contains the so-called bio-regulators, which are able to delay senescence and encourage the activity of the brain, and the presence of tocopherol, an antioxidant, slows down cell ageing and the onset of wrinkles. Legend has it that oil was created by Athena and was worshipped and used to make the nuptial bed of Ulysses and Penelope, to crown heroes, to anoint statues of the Gods and as a symbol of peace. An olive branch was the first sign of life that Noah received after the Great Flood, and even today, the life of Christians is signed from the start to the end with olive oil. Hippocrates, the father of medicine, advised the use of fresh olive juice to cure the mentally ill. In traditional Tuscan farming environments, it is still used to soothe nettle stings, skin ulcers and earache, but it is also used to make soap and beauty products, preserve food and as fuel. A few drops of oil can also be used to contrast the "evil eye" and "medicate" fear.